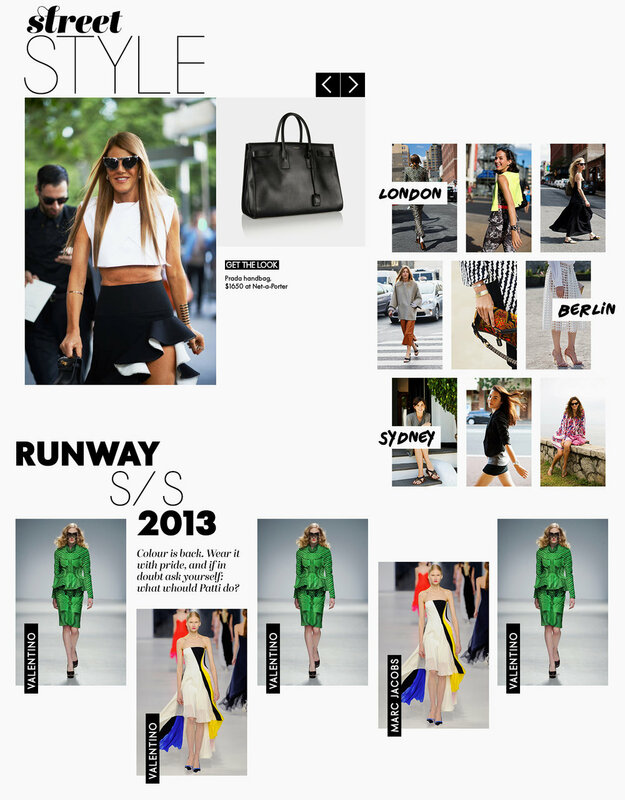 It's 2013, and Elle is a global super brand. Australia is totally in need of a women's magazine that's smart, sassy, useful and enjoys keeping it real. The site was launching ahead of the magazine, so the design and tone of the site was critical. Bauer called me for some last minute help, and I designed the site from scratch in just a few weeks. The result is an edgy, fun, lighthearted design that hits a true balance between high end and mass market. There's fashion, of course, but also breaking trends, conversation editorial, timely news items and how-to advice. I was aiming for a sense of freshness and urgency, defining a new visual language for the brand in digital. The design breaks away from the rhythm of other publisher websites - staggering content, mixing graphic typography with playful micro interactions and animated gifs. The long, scrollling landing pages encourage lively exploration and carry the eye through snackable content and shuffling news. The result is a playful experience that increases engagement and continuous consumption. Customisable content modules create great variance in browsing and give the editorial team a chance to really articulate the story. Article pages and photo galleries address an array of consumption behaviors, from passive browsing, snacking on content, or delving deeper into a trend/idea.